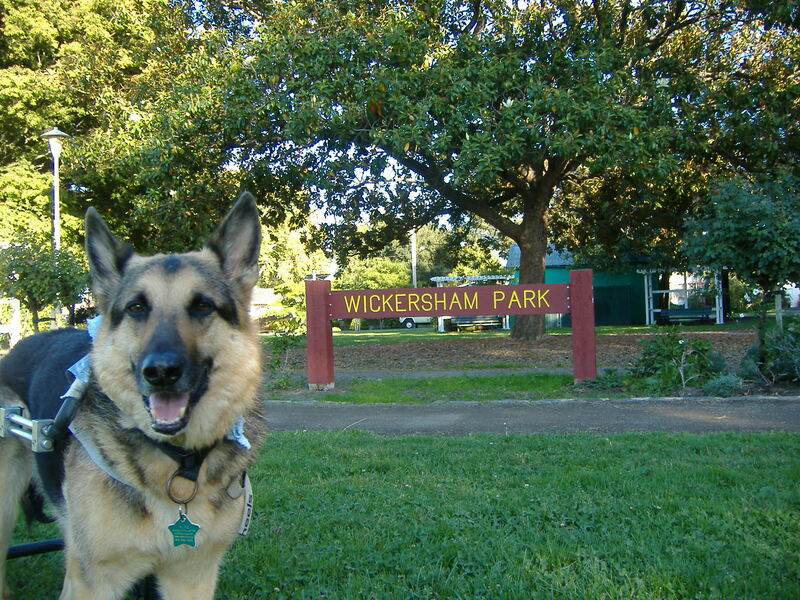 Wickersham Park in Petaluma, where we spent so much time over the last 6 months…farewell! 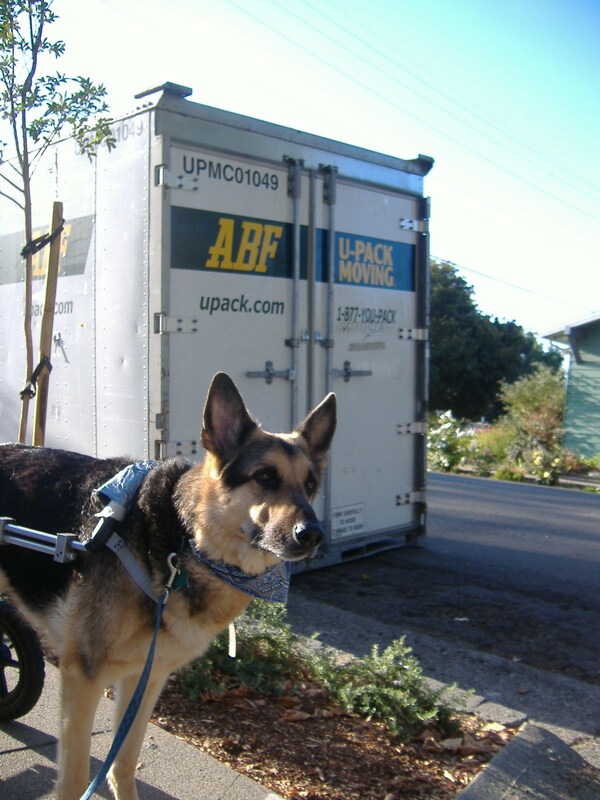 The Relo-Cube… which is hopefully right now en route to Portland with all my belongings! 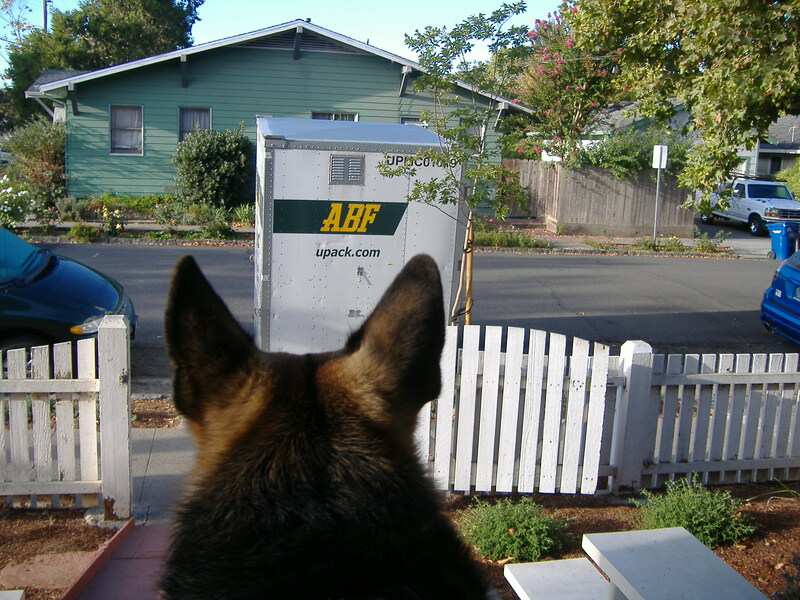 Ali and I are leaving California and moving to Portland… tomorrow! I have been too busy preparing for this big move to write anything about it, and I will keep it brief. Suffice it to say that after living in Petaluma for six months I am very happy we are moving on. There are many reasons why Sonoma County has not been working. And although I loved San Francisco (except for the commute! ), moving back there is just not an option anymore because 1.) Every dang place has stairs and 2.) Rents are way too high for me to live alone, and with Ali’s condition I am just not prepared to risk another Craigslist experiment and move in with total strangers. Luckily for me, ALDF has a secondary location in downtown Portland and I have been granted permission to transfer to this smaller office. Although I am daunted by the thought of starting all over again with Ali in a new city – not to mention one where it never stops raining! – there are many reasons why I feel this move will be a good one for us. I recently found the perfect apartment, too, which seemed like an auspicious sign. It’s an affordable one bedroom, totally on the ground floor (no more steep ramp for Ali to negotiate), carpeted (so Ali won’t slip), and in a nice neighborhood within walking distance to lots of great stuff, including a park. We are leaving tomorrow morning; the drive is about 9 hours. Big moves are always difficult, especially when doing it alone, but luckily I have amazing friends to help. Most importantly, the improvements Ali has made over this last week are nothing short of amazing. His right leg is taking full steps in the cart now. I was able to get an appointment for Ali to be seen one last time by Jackie, the rehab specialist at UC-Davis, before we moved. I was hoping she could suggest some new rehab techniques for me to try now that he is starting to take steps. She basically said to keep doing what we are doing and to continue underwater treadmill sessions if possible in Portland. More soon…I have to finish packing the van. Wish us luck on our new adventure!